The St Charles Arts Council is delighted to present Art in Public Places as an event of the Fox River Arts Ramble, coming up on April 13 and 14. AiPP catalogs and celebrates the extensive collection of public art in St. Charles, and invites everyone to see, learn about, and enjoy the artwork. Art in Public Places is much more than an inventory of public art. It is a cultural experience, rich in stories, images, and detail, that includes a web site, a printable brochure, an electronic Map and Art Tour. The Fox River Arts Ramble is a perfect time to check out AiPP – incorporate public art touring into your rambling! St. Charles is an art-rich community – downtown, the library, parks, schools, businesses, and more. AiPP catalogs a collection of over 175 pieces, and shares the story of much of the artwork. There are woodcut prints in the Library that were part of the 1930s Federal Art Project – a WPA program established as a relief measure during the Great Depression to employ artists and artisans. There are sculptures, such as Ēkwabet, or the History of Transportation friezes that have immersive historic and cultural stories, downtown murals, or the Wayfinder ceramic totems at East High School that are collaborative projects between student and professional artists. Many of the stories have links to other websites or sources of information that can take the viewer deeper into both the art and its history. An Art Tour is available through a downloadable app. Search your device’s App Store for Otocast, find St. Charles, IL Art in Public Places on their list of art tours around the world, and tap on any of the images of the 25 pieces of art on our tour. You’ll hear the artist, or someone familiar with the history of the piece, tell the artwork’s or artist’s story. In addition to hearing the story, you can read a bit about the artist and their artwork, and follow links to relevant resources. The web site – ArtinPublicPlacesSTC.com – is Searchable, and organized by Location (found on the Map page), Artist, Medium, Title, and Date – all of which are linked to each piece of art on the site. 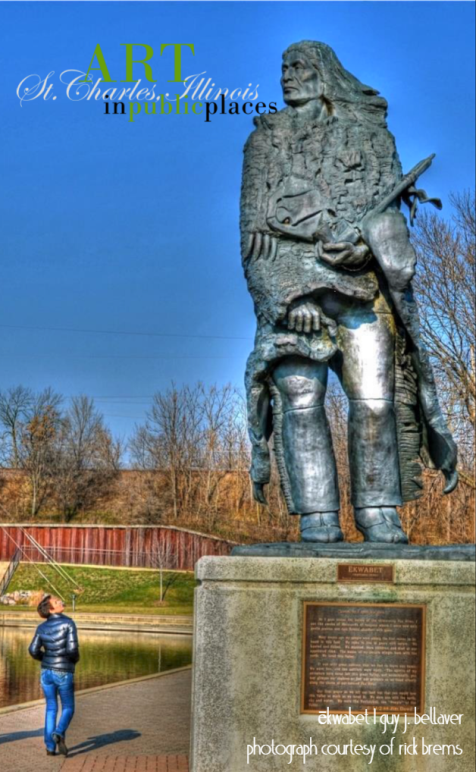 The SCAC encourages everyone with an interest in public art and history to grab their electronic device and/or the printable brochure and take a personal tour to look at the artwork and learn more about their stories. The St Charles Arts Council supports and promotes Public Art in our community. The Art in Public Places project was created to give form to that support and promotion. Our Thanks to Mr. Sterling Ainsworth (whom we miss very much), the City of St. Charles, and the St. Charles Park District for their support of this project. The St Charles Arts Council is a 501(c)(3), registered not-for-profit Illinois corporation whose mission is to serve and promote the arts and creativity, to the mutual benefit of the arts and the community. The Council supports and promotes Public Art in our community and the Art in Public Places project was created to give form to that support and promotion. 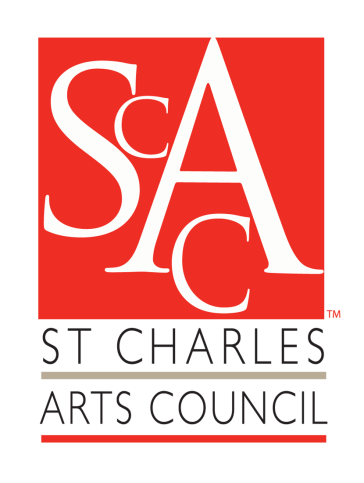 Contact the SCAC for information at 630.443.4794 or at info@StCharlesArtsCouncil.org. The Fox River Arts Ramble is a two-day self-guided tour of the arts in the valley. It is an Event of the Fox River Arts collaboration, organized by the Fine Line Creative Arts Center, the St Charles Arts Council, and Water Street Studios. This exciting event includes nearly 50 locations located in Aurora, Batavia, Geneva, St. Charles, and Elgin featuring open studios, galleries, art schools, museums, public art venues/tours, and creative spaces. In 2019 the event features nearly 50 participants, in a broad array of media and location, including a number of collaborative programs. The Ramble is Saturday, April 13 and Sunday, April 14 from 10 a.m. to 5 p.m. each day, with some musical performances and receptions in the evening. In-kind sponsors are Fast Color and Cooper-Hong. We thank them for their support of this event and the arts.